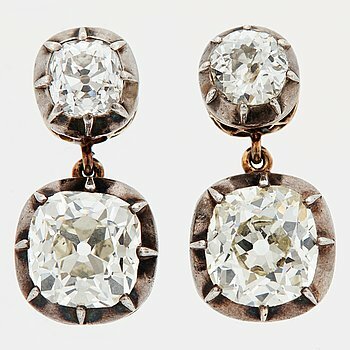 Exceptional jewellery at this spring’s premier hammer auction! Bukowskis can yet again present a dynamic selection of jewellery at the spring’s premier hammer auction – Important Spring Sale. Our experienced experts, Anita Bolin, previous co-owner of the family business W.A. Bolin, and Cecilia Andrén, long-term employee at W.A. Bolin, have carefully selected a handpicked selection with focus on older jewellery with extraordinary provenance and history. Prior to this spring’s major hammer auction we have talked with Bukowskis' knowledgeable jewellery experts, Anita and Cecilia, about their personal favorites at the jewellery department at Important Spring Sale. 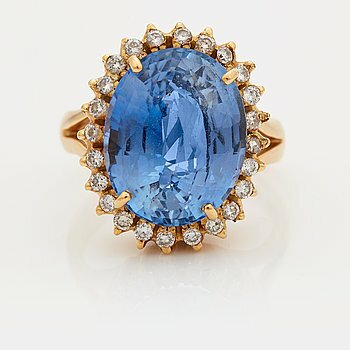 Which are your personal jewellery favorites in the hammer auction Important Spring Sale? No. 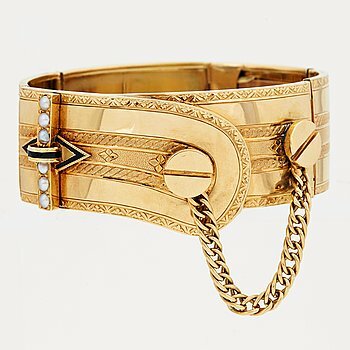 877 – Gold wristband from the mid 19th century with a royal provenance, which accordingly is a gift from Karl XV to Hanna Styrell. 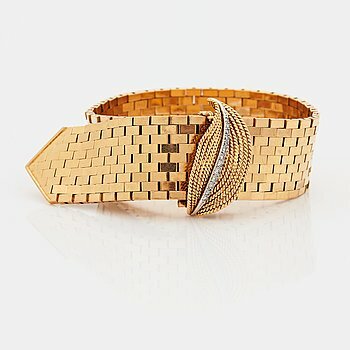 Thereafter the wristband has been inherited from her husband Adolf Tersmeden and thereafter further to the current owner. The wristband has French export stamps that were used between 1840-1879 and French stamps with Gustaf Möllenborg’s stamp. This is an exquisite jewellery but also cool in its execution with all its extraordinary details. No. 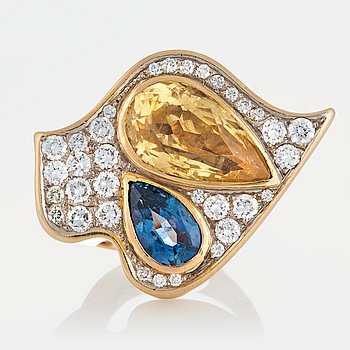 878 – This gold ring is made by Kristian Nilsson and with its two sapphires in different colors it truly becomes a conversation piece – the ring is both headstrong and theatrical. Kristin Nilsson is also one of our most well-known jewellery artists within modern time which makes this piece of jewellery very exciting both in terms of execution and background. No. 903 – An incredible color and luster – useful in any weather! No. 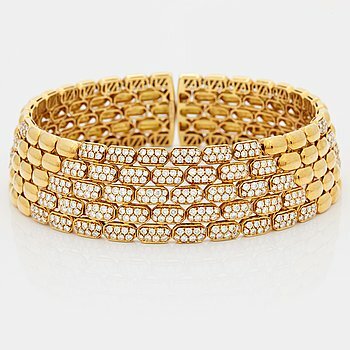 907 – This gold link resemble a belt in its execution and is both cool, luxurious and glamorous! No. 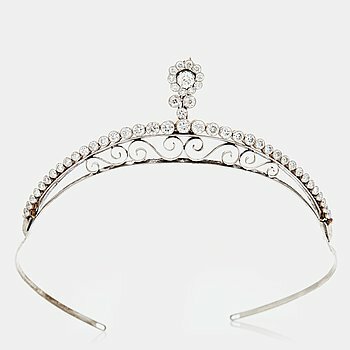 916 – This beautiful tiara with brilliants comes with endless useful ways of wearing it, use it as a wristband, choker, collier, pendant or as a brooch – an incredible, magnificent and beautiful multi-functional jewellery. No. 938 – Gold collier with diamond which feels both luxurious and cool. The handicraft is fantastic on this collier. What should you have in mind when you buy jewellery at an auction? Before an auction purchase, you should have the ability to go all in because you can easily get something completely unique for a bargain. Choose with your heart and allow yourself to fall in love with a jewellery that you actually can be the only one to have. 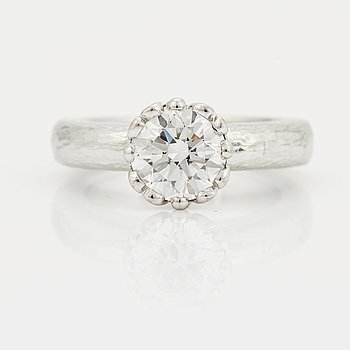 You get an enormous amount of quality for the money you put it, the jewellery are often very well-made and unique.